Manchester City on Thursday completed the signing of midfielder, Ante Palaversa from Croatian side, Hajduk Split on loan. Palaversa joined the Premier League holders for a reported fee of £7million after he completed a medical in Manchester earlier this week. The 18-year-old will be sent back to Hadjuk on loan until 2020, but Manchester City have the option to recall him in January of the same year. 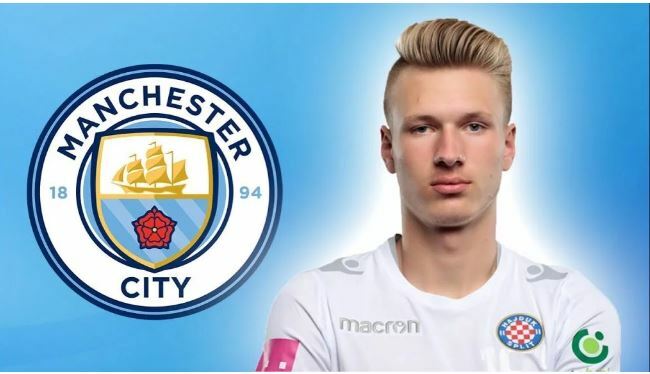 Speaking after the transfer was made official on Thursday, the Croatian youngster told the club’s official website: “Thanks to Manchester City for the trust. “There is still a lot of work ahead of me.